Ideally located next to the Northlake Mall and not far from Stone Mountain Park, our location offers a wide variety of shopping, restaurants, lounges and easy access to I-285. 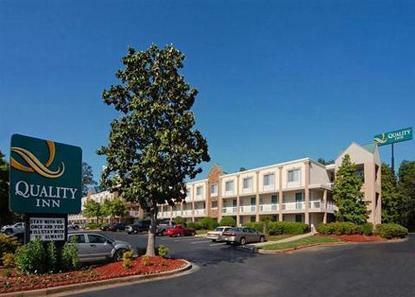 Perfect for business, pleasure, family reunions or groups interested in Metro Atlanta and the wide range of attractions downtown has to offer. Our new business class rooms have a microwave & refrigerator as standard amenities.At Check-in each room receives a Welcome Gift of: Bottled water, snacks, and fruits. Pet Accommodation: 10.00/night per pet, 25 pounds and under, limit 2 pets per room.